If you enjoy going to Jamba Juice, then you'll love the Magic Bullet Deluxe Blending System since you can just make your own smoothies at home. It'll save you a whole lot of money and will pay for itself in no time. I love a smoothie either for breakfast if I need something on the go or right after an intense workout at the gym. I used to make smoothies using either my blender or high-priced food processor both of which work great. 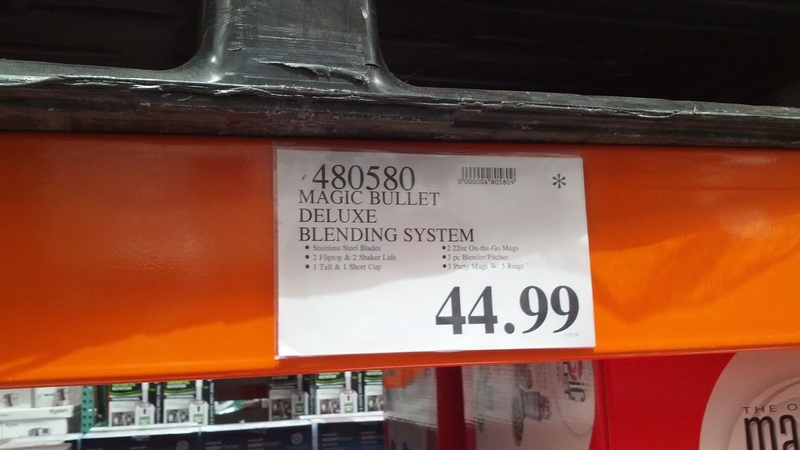 The problem is that both appliances were highly expensive compared to the Magic Bullet and, even more importantly, they were a hassle to clean. I found myself not juicing simply because I hated cleaning the blender or food processor. With the Magic Bullet, on the other hand, juicing, blending, making smoothies, and ultimately cleaning were all easy enough that I use the Magic Bullet all the time (about 3-4 times a week) to make smoothies. 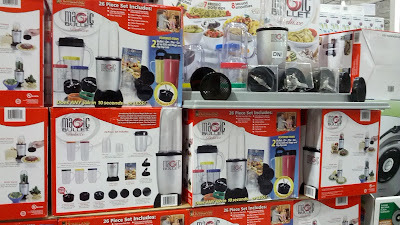 Unlike my food processor and blender, the Magic Bullet is compact enough that it's easy to store and put away. You can also check out the Vitamix or Ninja blenders, but I know that Costco sometimes has an instant manufacturer's rebate where you can get the Magic Bullet for $10 cheaper at Costco. You don't have to go to Jamba Juice when you can make your own smoothies at home. 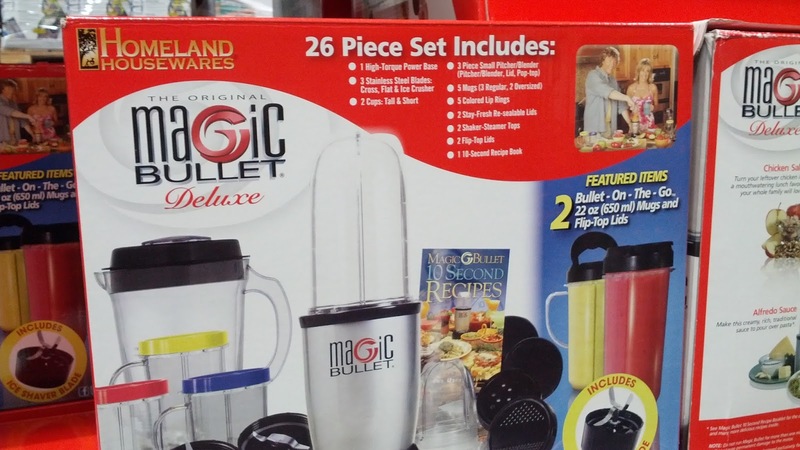 The Magic Bullet as a juicer would make Jack LaLanne proud. 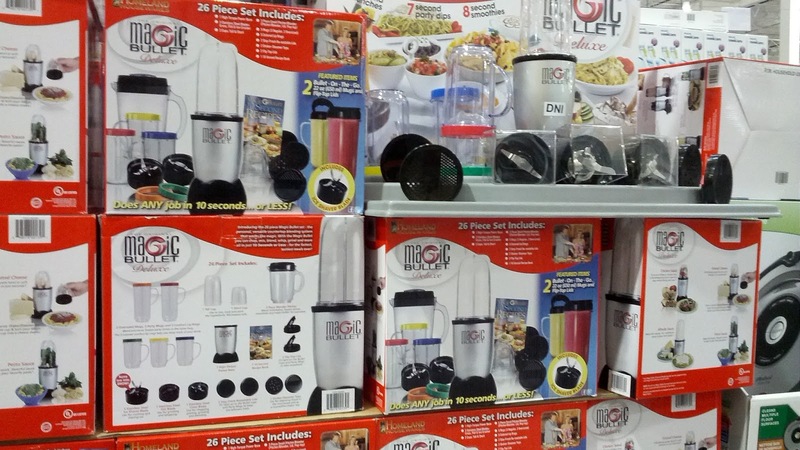 The Magic Bullet Bundle at Costco comes with everything you need to juice and make smoothies. 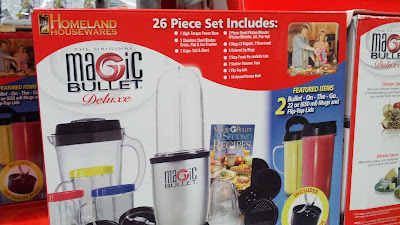 Introducing the 26 piece Magic Bullet set - the personal, versatile countertop blending system that works like magic. With the Magic Bullet you can mix, blend, chop, grind, whip and more - all in just ten seconds or less - for the fastest, tastiest meals ever!